The Kino Flo Celeb 200 DMX LED Center Mount Kit is a professional, energy efficient, variable temperature LED lighting system that reproduces color faithfully. One amp produces more lumens than a 750W tungsten soft light. 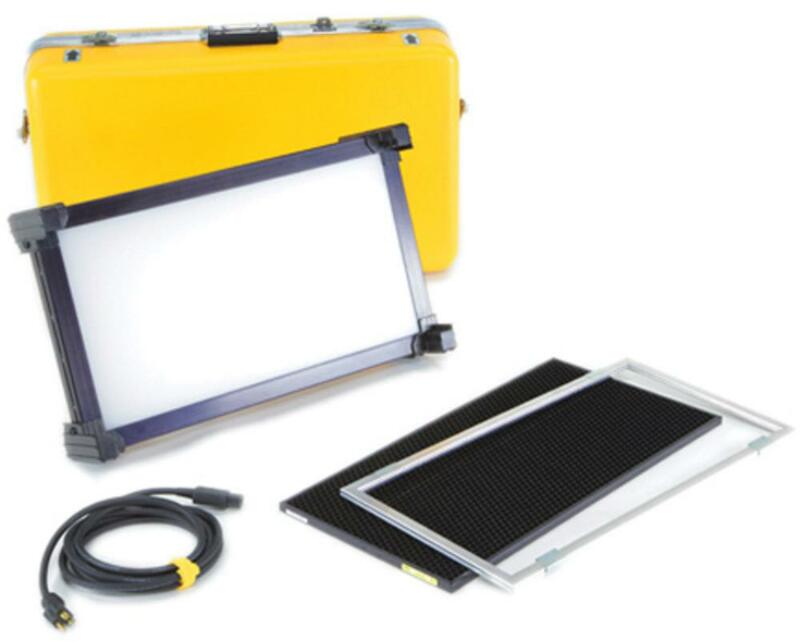 The 360 degree mount makes this light easily positionable and is ideal for studio and on-location filmmaking where reproducing natural lighting is desired. Key features include dial-in variable color temperature control, full-range dimming, and programmable 2,700K to 5,500K presets. Light levels do not change when selecting Kelvin settings. This light is also suitable for portrait photography. • A light stand is not included with this rental. A strong stand, like the Matthews 10.5' C Stand, is recommended.